Annapurna Base Camp is a fabulous trail for all adventure lovers. It is a spectacular mixture of mountainous vistas, traditional villages of the Himalayas, and diverse flora and fauna. It is a paradise for all those who seek solitude in nature. 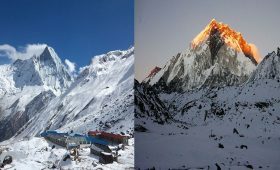 Annapurna Base Camp Trek 7 Days is an ideal trek for those trekkers who do not have enough time for longer treks. But, are looking forward to experiencing the best of the Himalayas. 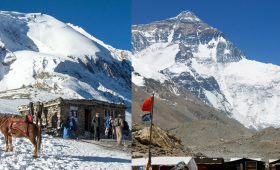 The views of Annapurna 1 (8091m), Annapurna South (7273m), the Glacier Dome, Gangapurna (7454m) are spectacular in this trek. 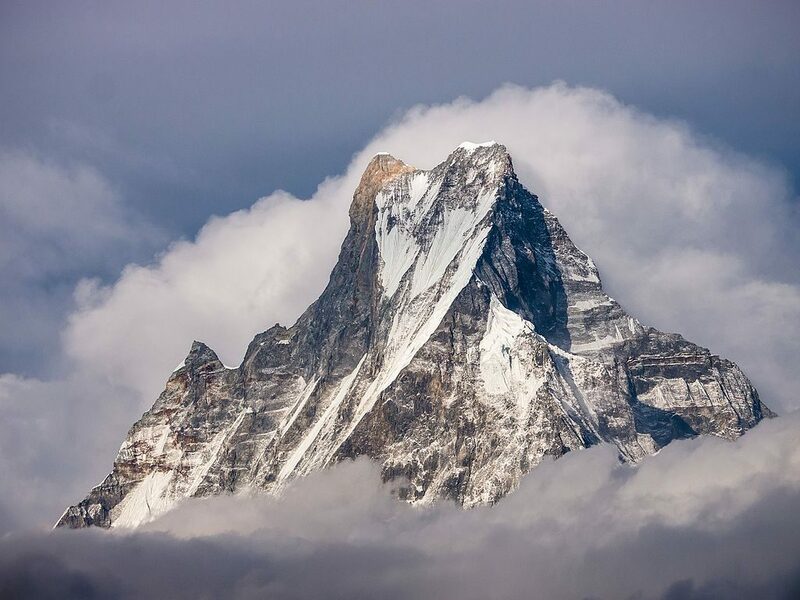 And the unclimbed Fang (7647m), and the fishtail peak of Machhapuchhre (6997m) are some attractions too. 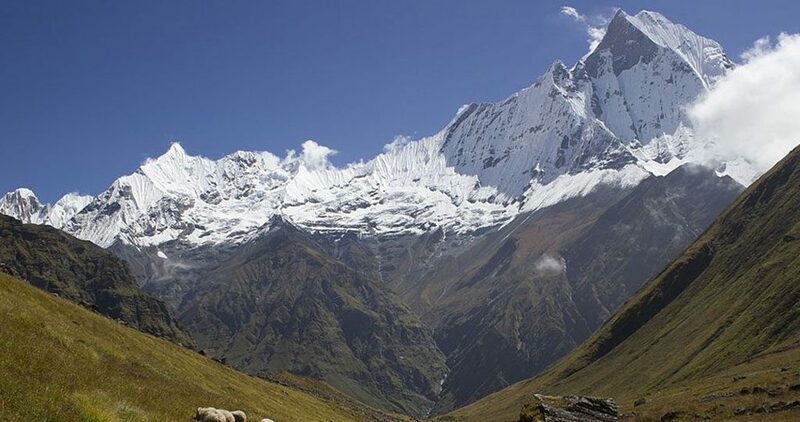 The 14- Days Annapurna Base Camp Trek is a common trekking route to the ABC. It is relaxing and quite comfortable trekking route. This trek gives you the opportunity to explore ethnic and cultural diversities. You will see the Bramhin and Chhettri settlements in the lower regions and Gurung settlements in the higher regions. Since you will be starting your trek from 2000 meters, it would be helpful if you have had previous trekking experiences. You, as a trekker will have to go from one destination to the other in a short time. So, your trekking experience will benefit you here. You will take an early morning flight to your first destination Pokhara. Our representative staff will pick you up from the hotel and drop you to the airport. You will reach Pokhara in about 25 minutes of scenic flight. Then, in about after 1-2 hours drive, you will reach Nayapul. The real trek starts from Kimche. You will hike up to Ghandruk. Ghandruk offers you mesmerizing views of the Annapurna South and Annapurna III. You can also enjoy beautiful peaks like Hiunchuli and Machhapuchhre. You will then spend the night in a tea house at Ghandruk. The actual trek to the Annapurna Base Camp starts today. You will start your trek soon after breakfast and climb uphill for about an hour to reach Ghandrukot. A descending hike to reach Kimron Khola follows it. From Kimron Khola, you will again walk uphills. After more ups and downs, you will finally reach Chomrong. 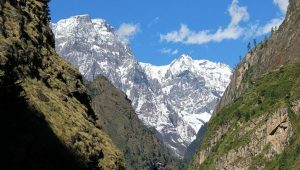 It is the gateway to Annapurna Sanctuary Trek. It is also a Gurung settlement, hence, you can see the culture of the people. From here, you will walk down to Chormrong Khola and again ascend to reach Sinuwa. You will then spend a night in Sinuwa. Your first trek for the day will be to Bamboo after breakfast. You shall trek through Bamboo and the Rhododendron forest and reach Kuldi Ghar. You will continue to walk to Modi River. Then you will reach Bamboo and Dovan Village. From here onwards, there are fewer steps and the trails are steady. 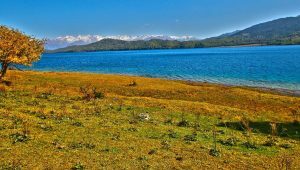 You will enjoy the forests and glacier river below it just before the Himalayan views. The trails get steeper from the Himalayas. You will ascend the steep trails through drier forests all the way to Hinku Cave. From Hinku, the trails are decent to the river. You will again walk upwards to Deurali, and spend a night there. Soon after breakfast, the trek to ABC starts. You have to ascend uphills but the trails are not very steep. You will reach the Machhapuchhre Base Camp (MBC) after walking for 2-3 hours. MBC offers you a spectacular view of the Machhapuchhre, Annapurna South, Hiuchuli, Gangapurna etc. After a few hours of the hike from here, you will reach ABC. Make sure you take lots of pictures and enjoy the spectacular views as well. You will be able to enjoy the marvelous panoramic views of the mountains. You will see Annapurna South, Annapurna I, III, Khangsar Kang, Gangapurna, and Machhapuchhre. All of these encircle the Base Camp. You will stay overnight at the Base Camp. You will get the opportunity to have breakfast with the breathtaking panoramic views of the snow capped mountains. Soon after breakfast, you will start trekking downhills via the same route. You will bid farewell to the paradise of the Base Camp. You will stay overnight at Bamboo. You will start walking downhills after breakfast. You will cross the forests of bamboo, oaks, and rhododendron. Then the trail goes steep uphill to Kuldi Ghar. The trails get easier and comfortable from here onwards to Sinuwa. 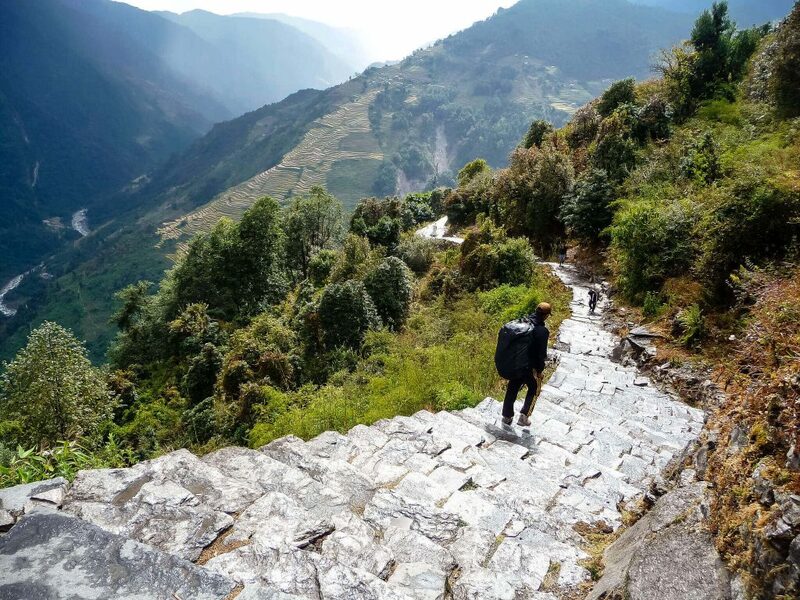 You will walk downhills to the Chomrong Khola from where you will walk upwards a stone stairway. You will reach Chomrong after an hour’s walk or so. After this, you will walk steep downhills to Jhinu Danda. Here again, you will find the hot spring where you can relax and take a dip. Again, a trek to Kyumi village through the New Bridge to cross the Kumnu Khola. You will stay overnight at Kyumi. This is the last day of your trek. You will trek to Nayapul after breakfast crossing the Modi Khola and Siwai. You will then ride back to Pokhara from Nayapul, where you can chill and relax at the pubs by the Lake Side. There is yet another route that you can choose for the Annapurna Base Camp Trek 7 Days. This route takes you from Pokhara to Chomrong on the first day. You ride to Siwai from Pokhara and then trek to Chomrong, and spend a night there. On the second day, you trek to the Himalayas. Your major sites will be Chomrong Khola, Khuldighar and Dovan. You will spend the night in a local tea house. Likewise, on the third day of the trek, you will head towards the Annapurna Base Camp crossing Deurali and Machhapuchhre Base Camp. You will spend the night in a local tea house at the ABC. You will trek down to Sinuwa on the fourth day. After 4 to 5 hours of hike, you will reach Sinuwa and spend a night there. You will hike to reach Jhinu Danda on the fifth day. 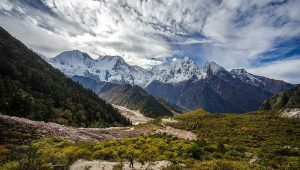 You will cross Sinuwa, Chomrong and Upper Chomrong to reach the destination. The sixth day is the last day of the trek. You will trek down to Siwai for around 4 to 5 hours. It is the same place you started your trek from. Then a two hours drive from Siwai will take you to Pokhara. On the seventh day, you will fly back to Kathmandu. You want to pack just the right things for this trek. Also, you do not want to overpack since it is a short route. However, your essentials should be able to cover up any kind of weather situations that can come up. You would want to prepare yourself with gears, accommodations, luggage and a lot more. 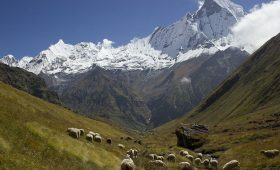 Annapurna Base Camp 7 Days Trek is an ideal trek for you if you are looking for nature’s escape, yet bound by time limits. 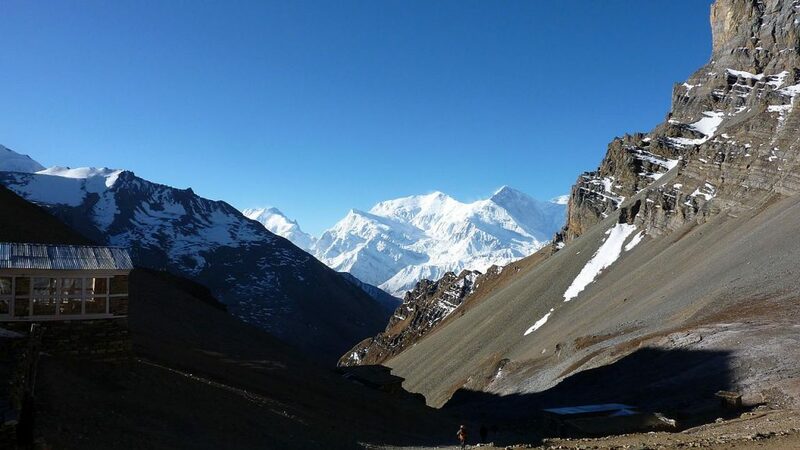 It is a lifetime experience trekking through some of the tallest mountains of the world. The cultural and natural diversity will melt your heart and also you get to experience the warmest hospitality. The breathtaking panoramic views are what you will cherish throughout your life. Though a short route, there is nothing that you will miss on this trek. In fact, you might even experience a lot more within the limited time frame. If you have more questions or queries, please feel free to contact us.